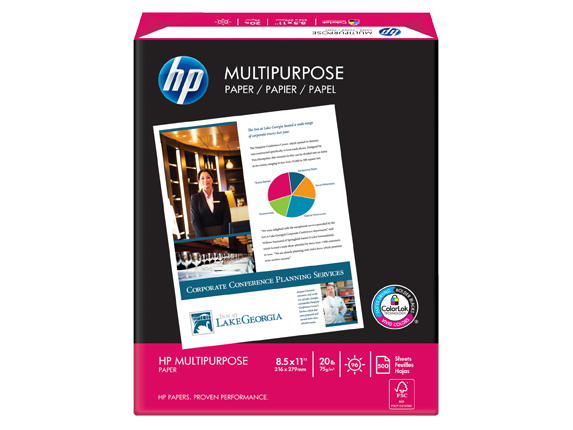 Versatile, efficient and smear-resistant, HP Multipurpose Paper is engineered for use in copiers, printers and fax machines. 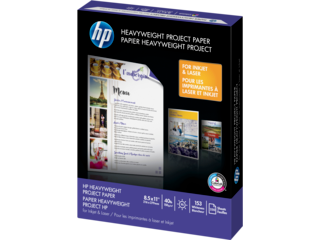 It eliminates the need to keep specialty papers on hand, saving time and money. 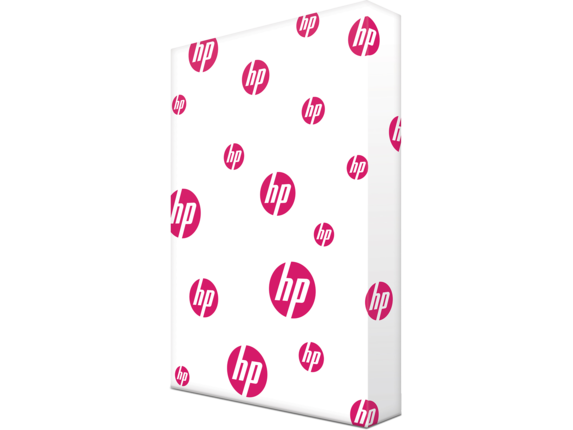 Versatile, efficient, smear-resistant and engineered by HP. 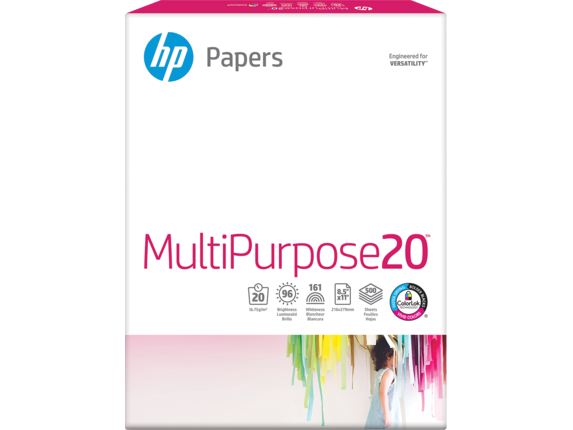 In short, the perfect multipurpose paper. This product will be replaced if defective in manufacture or packaging. Except for such replacement, we shall not be responsible for incidental or consequential damages related to the use of this product. HP Recycled Paper is engineered to reduce the dust build-up that can cause paper jams, downtime and shorten the useful life of your digital imaging equipment. 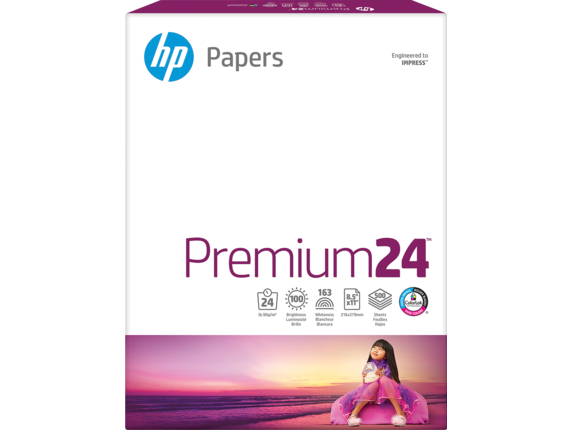 Brighter, whiter and thicker than standard office papers, HP LaserJet Paper is affordably priced, making it the ideal choice for the business documents you produce every day. 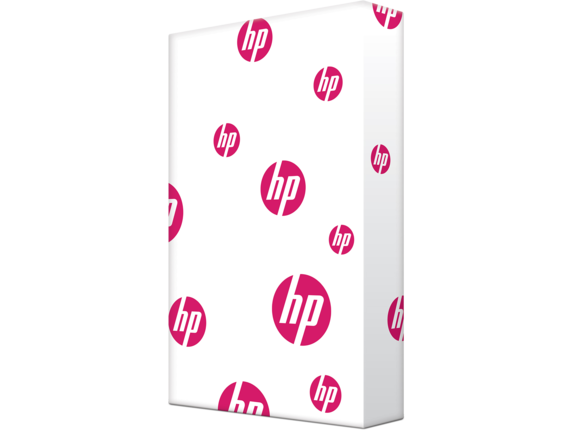 HP Iron-on Transfers are suitable for cotton or cotton/poly blend fabrics. 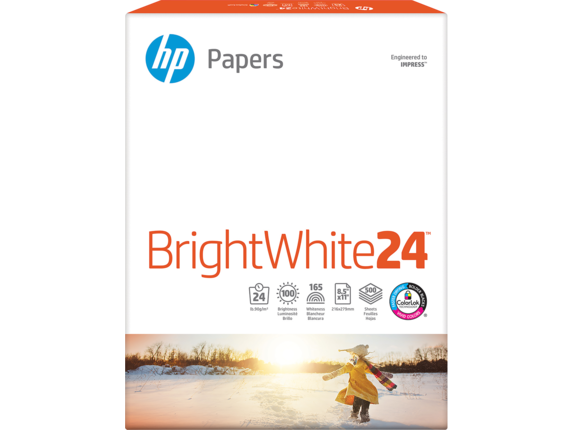 These iron-on, cool-peel inkjet transfers are specially designed to produce vivid color images and graphics on white or light-colored fabrics. 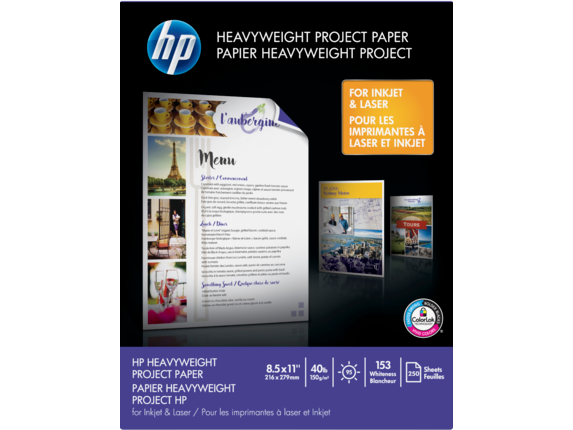 1 Based on internal HP testing of Original HP pigment inks on ColorLok® papers. 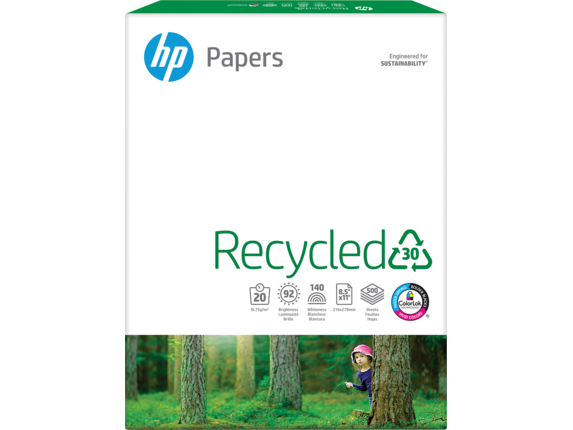 2 Forest Stewardship Council® (FSC®) License Code FSC®-C017543.